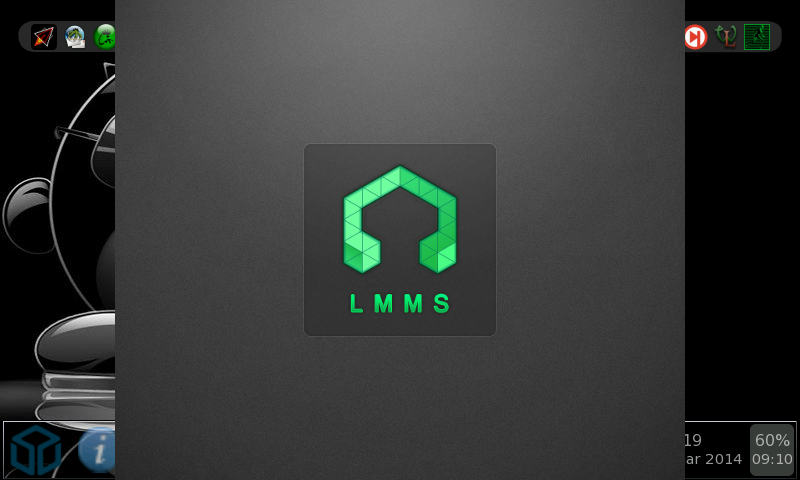 LMMS is a free cross-platform alternative to commercial programs like FL Studio (R), which allow you to produce music with your computer. 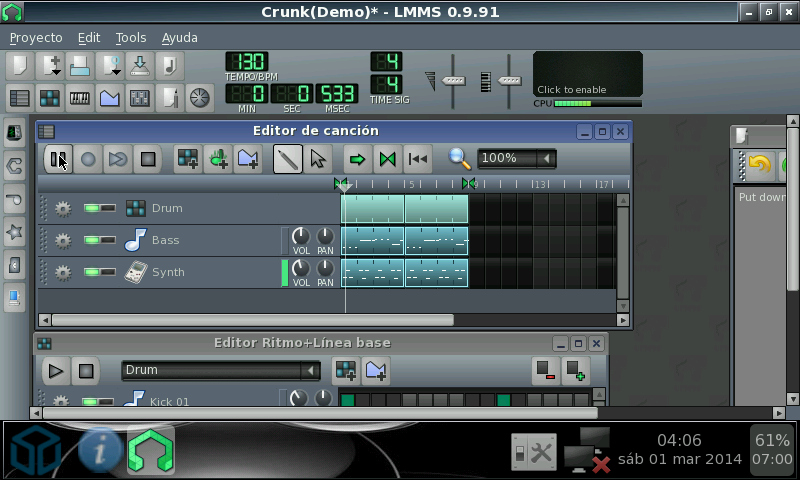 This includes the creation of melodies and beats, the synthesis and mixing of sounds, and arranging of samples. 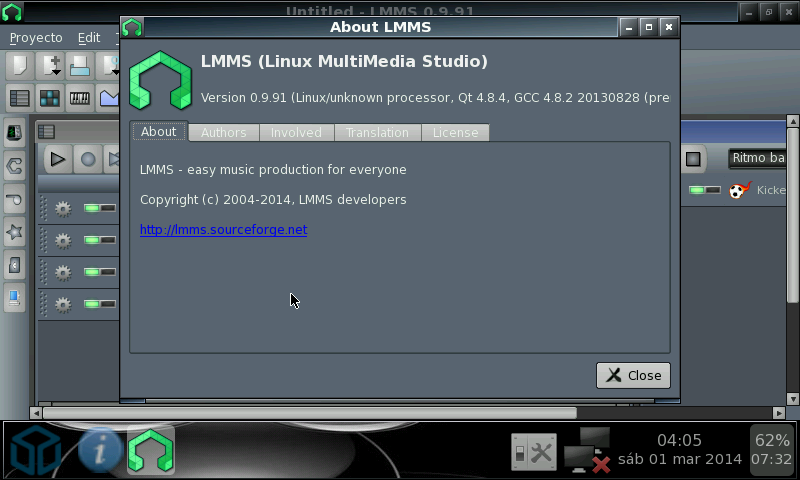 You can have fun with your MIDI-keyboard and much more; all in a user-friendly and modern interface. - SWH and zynaddsubfx plugins disabled. - New stable version, compiled with jack support. - Support for zynaddsubfx plugins fixed. - CALF plugins disabled, until compile is fixed. - Compiled Release Candidate 1, using last git source. - Calf plugins work now. - Last stable version. Compiled with QT 4.8.6. Try with PNDManager or download with web browser. It sounds like a network conections problem. i can't download it with pnd store, it doesn't finish and stay forever to the download state... ive deleted the .pnd and relaunched the installation but same problem. Yep, and lots of bug fixes, like better jack support. Whoa, seems they are redoing some of the look/art. After fixing zynaddsubfx in last update, it should not crash anymore. Only errors about CALF plugins.